$839.94 Seen a lower price? $849.95 Seen a lower price? $849.99 Seen a lower price? 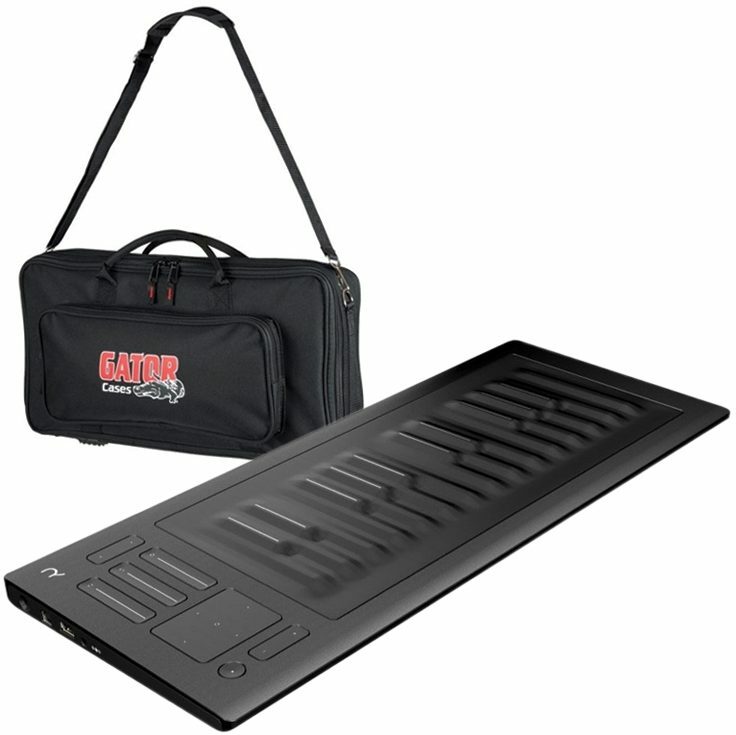 Seaboard RISE 25 is the world's first truly accessible expressive MIDI controller. It establishes a new standard in music-making devices by combining the intimacy of acoustic instruments with the versatility of electronic music. 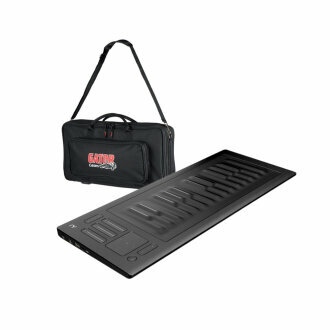 Paired with Equator, our powerful software synthesizer, the Seaboard RISE 25 unlocks unprecedented creative possibilities for contemporary musicians in a joyfully-crafted evolution of the keyboard. - Start in piano mode and then explore new dimensions of touch interaction. Begin with even the most basic keyboard technique and grow from there. Customize sensitivity to match your own playing style. - Use with a variety of software and hardware synthesizers as well as the Equator bundle included with RISE 25. Simulate the authentic dynamic range of any instrument to breathe new life into your favorite sounds. Personalize patches using the touch sensitive trackpad and faders. - Create sonic possibilities by mapping sound parameters to unique gestures. Perform and record tracks with subtle and sensual details that previously required post-production. Push the boundaries of music with an instrument that marries tradition with innovation. - Free yourself from cables using built-in MIDI over Bluetooth with up to 8 hours of continuous play. Enjoy the craftsmanship of a world-class instrument made of the best materials and built to last. Touch and shape sound timbres in an astonishingly direct and intuitive way. Full MIDI compatibility over USB and Bluetooth Bundled with Equator, the world's first purpose-built, multi-dimensional software synthesizer. Available until 11 PM (EST) today. Mention special code 1ZR-66JQ when you call.